What is the shebang line for .pyw files? How to give the location of "Input" and "Output" for a python code using User Interface and run the code from UI itself? How do I use custom font with a set size in flutter/dart? Plugin to help copy/paste XML in android studio according to some pattern? How do you copy/paste from one Google Sheet Tab, to another google sheet and specify the tab in the target google sheet? 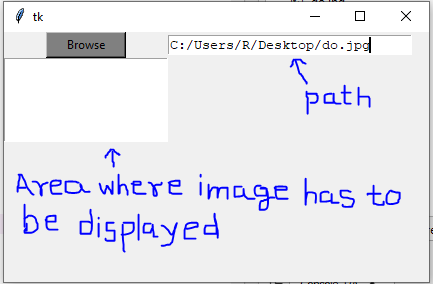 How to display browsed image in tkinter in Text widget? How to send subprocess text output to a Tkinter text widget? How are fonts rendered in Flutter or how do I avoid vertical spacing? There is no support for this in tkinter. Tkinter can't get font information from the clipboard. With root.overrideredirect(True) no windows are displayed. With root.overrideredirect(False) the png is correctly displayed but the top window border is visible. 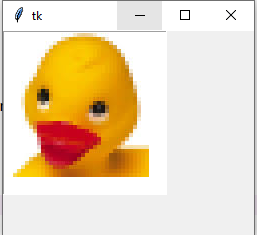 I've been writing a Tkinter program and I don't want the console to show, so I used a .pyw file. However the program ran with an error that said the program could run usr/bin/python3, so I removed the shebang line, and it worked, but do I need a shebang line? Or should I keep it as is. In this code, line 4 gives the location/path of "input file" and line 10 gives the location of "output file". I want to create a user interface to give this location in the user interface itself and run the code from user interface itself. But I didn't understand how to link these two codes. The moment I click on button "generate map" in the user interface I want the location/path of Input and output given in the user interface box to move to their respective places in the 1st code and then run the same code aumoatically. Kindly, help me to achieve my requirement. I am required to programmatically generate get a list of fonts loaded into the DOM. It has bearing on a dynamic UI I am trying to construct based on fonts that are loaded into the DOM. This list must include fonts native to the browser as well as added fonts whether through CSS @import or HTML <link/> tag. all fonts available in a session. I have explored the window and the document objects and so far am not able to find what I am looking for. I'm trying to change the font so that it is at .5em and make it italic. 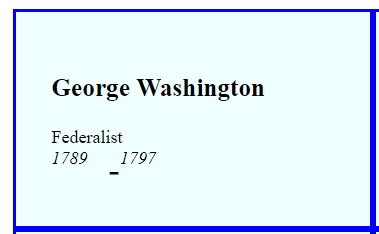 So (1789-1797) will be that size and italic. I can't seem to get the "-" to change though. I'm confused about what class or area the "-" is under. I can't change the HTML code, I can only add to the CSS. I need help figuring how to stylize the "-". I tried (font-size: .5em;) under .term and it didn't change since it was outside of the element. I also tried under admin and it changed all my text which I don't want. Is this the correct way to import it? I've tried it both was with '' and without '', still doesn't change the text font. I want the font to look like the one here https://www.dafont.com/vonique-64.font but it's not looking like that one. (If there are answers to this question, please direct me there.) I tried to paste few lines code from online sources with the symbol like ">>>". My question is how to paste without these symbols? I use android studio for creating android apps. While designing the UI I mostly find myself copy pasting my custom made components to test different things out and to see how would they look when I actually populate the view with my component using some adapter. But when I duplicate my components I manually have to update there id's and other attributes in XML according to needs. But those changes mostly have some sort of pattern which I can always define using a regular expression. So, in short is there any tool for android studio that can help me copy/paste XML by defining some pattern via regex or something else ? Or should I see this as an opportunity to create my own plugin and start coding right away. I'm creating a Google App Script, for a Google Sheet Document. I need to allow a user to select a range of cells in the Source Google Sheet and then be able to pic the specific tab in the target google sheet, to paste that data to. I've been able to hardcode a TARGET tab, which in another google sheet, but I have not been able to figure out how to make it so that the user can pick the specific tab that way to copy the data to. This is my first endeavor into coding. I am a 100% novice. different google sheet docs. They are NOT 2 sheets in the same google sheet doc. This code is to pick specific sheets within the Source & Target Sheet. Source Google Sheet = "New Stuff"
Target Google Sheet = "Archive"
This code determines the from-range and the to-range to copy & says where to put it in the Target. The problem is not over yet; when I am using the same code outside the pathfunction to display a specific image then it works properly. But not working(displaying ) when use inside the pathfunction for a browsed image selected(path). I have searched a lot, but this is not ringing any bell for me. "do.png" is a image which is in same folder in which Python file exist. I am writing a piece of code here that will send a ping to an IP address and return a result. It works fine on the CLI, however I wish to "print" it to a Text widget using Tkinter. I am at a point where it will send it to the Text widget GUI but it only makes itself visible after I interrupt the program. I want to have a rolling output to the GUI text area as the pings progress through a loop. I have two simple Text-Widgets in a Row that have different font sizes. I use CrossAxisAlignment.start to vertically place them at the beginning of the vertical axis. Unfortunately, the two text chunks are not correctly aligned. When I use Flutter: Inspect Widget in VSCode, I can see that both Text-Widgets have some vertical spacing to the top of the row, which increases with font size. This reminds me of the line-height attribute in CSS, but I have not found an equivalent in Flutter. Is there any way to render a Text-Widget's content without this spacing?